Exciting London based Dutch Cruiserweight Mitchell Balker is set for his second British outing, since signing with Johnny Eames’ Ultrachem TKO Boxing Gym team last year, when he comes face to face with Battersea’s super tough ‘Fighting Fireman’ Nick ‘The Ox’ Okoth at the Graham Earl promoted ‘CAPITAL PUNISHMENT’ event at York Hall in Bethnal Green, London on Saturday 22nd January 2011. Balker, who prior to moving to London had an unbeaten three fight record, will be looking to put the disappointment of losing to British championship prospect Matty Askin, when the fight was controversially stopped during a wild exchange that see Balker visibly shake Askin, on his maiden UK outing in November. However Balker’s opponent on the 22nd January is no walk over, as the ever popular former Commonwealth and IBO Inter-Continental Champion Darren ‘Raging Bull’ Corbett can attest. Back in April last year Okoth shot to fame following his gritty all action performance to overcome Corbett at the Sky televised Prizefighter - Cruiserweights 2 to rightfully earn a showdown with eventual tournament winner Jon Lewis Dickinson in the final. 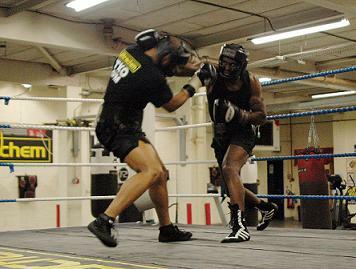 Following a sparring session with Southern Area Cruiserweight champ Leon ‘Solid’ Williams, at the Ultrachem TKO Gym in Canning Town, Balker spoke briefly about his preparations for his upcoming fight with Okoth. “I don’t know not too much about Nick. 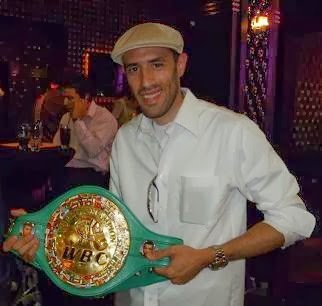 He fought Ali (TKO gym mate Ali Adams) not long ago, but other than that not know much about him. Training going very good. After my first fight in the UK I was straight in the gym so I’m in shape like always. I’ve been sparring Leon (Williams). Sparring has been going really, really well. I’m in great shape. Tip top condition so sparring going very well. Mitchell Balker versus Nick ‘The Ox’ Okoth will be on the undercard of Paul Morby vs. Daniel ‘The Slick’ Cadman BBBofC Southern Area Super Middleweight title showdown at the Graham Earl promoted ‘Capital Punishment’ event at York Hall, Bethnal Green, London on Saturday 22nd January 2011. Graham Earl has put together a top class support card for the Morby vs Cadman title fight that includes the third outing for Ultrachem TKO’s exciting Welterweight Danny ‘Cassius’ Connor, who is set to face Graham Earl’s nineteen year old protégé Terry Holmes. Also on the card are British Masters Light Welterweight Champion Jay ‘The Isle Of Wight Assassin’ Morris, Hove’s unbeaten Light Heavyweight Navid Iran, unbeaten Middleweight Joe ‘The Belfast Banger’ Hillerby, Leicester’s Super Middleweight Jahmaine ‘ Smasher’ Smyle, Balker’s Ultrachem TKO gym mate Daryl Setterfield and Miami, Florida exile, now living in Luton, Emmanuel ‘Manny’ Oshinronde all against yet to be named opponents. Tickets, priced £35 (unreserved) and £50 (ringside) are available on-line now at www.tkoboxoffice.com - or for further information call 07960 850645.